Your use this website at your own risk. 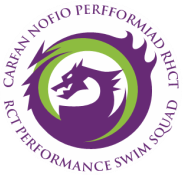 RCT Performance Swim Squad / Club or its Officers take no responsibility for any action by any person or organisation, regardless of location, as a result, direct or otherwise, of information contained in or accessed through this website whether such information is provided by us or by a third party. The entire contents of this website are subject to copyright and are owned by RCT Performance Swim Squad / Club or its third party providers. This includes without limitation, all text, files, documents, images, graphics and code unless otherwise stated. You may print and copy sections or documents from the website for your own non-commercial use, providing copyright notices and any disclaimers are retained and credit is given to this website/the original author. Other than that specifically mentioned above, reproduction of part or all of the contents of this website in any form, is prohibited. We request that if you wish to link to this website you contact us out of courtesy to let us know. We do not guarantee that you have any right to use third party owned content which is available on this website and advise you that you must obtain permission from the third party owner before using or downloading such content. The RCT Performance Swim Squad / Club website includes hypertext links to other websites managed by third parties outside of our control. We cannot provide any guarantee to the reliability of this information and accept no responsibility for its content or availability. We neither endorse nor recommend any third party websites linked to. Please be aware that it is your responsibility to ensure that any content downloaded from the RCT Performance Swim Squad / Club website to your computer is free from viruses and suitable for use on your computer.